Marilyn Craig is the founder and managing director at Insight Voices. 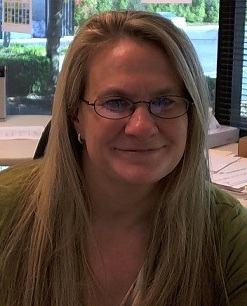 A life-long lover of all things quantitative, Marilyn brings over 20 years experience in big data, analytics, and data science working with and for some of the most well-known brands in the world, including Logitech, Hewlett-Packard, WalMart, Microsoft, Johnson & Johnson, Chiquita Fresh Express, and Intuit. Marilyn has been at the forefront and in some cases created the techniques and systems that have become standard in consumer facing industries for global manufacturers, retailers and e-tailers. From creating EDI networks to forecasts based on real-time click-through data she has used data and analytics to enhance some of the most sophisticated organizations in the world. Marilyn received a Bachelor of Business Administration with highest honors from the University of Texas at Austin as well as an M.B.A. from the Haas school at the University of California at Berkeley. Strata 2012 – Big Data and Supply Chain Management: Evolution or Disruptive Force? PatternBuilders offers analytics solutions built for the big data challenges facing businesses of all sizes. Our cloud-centric, web-ready big data solutions address the analytics problems of the 21st century and fully address the three V’s of big data—volume, variety, and velocity. Powerful and easy to use, PatternBuilders point-and-click analytics solutions can be deployed in your data center or in the cloud to take advantage of the efficiencies of cloud computing. Whether you are analyzing internal operational data, social media data, data sets from emerging public markets (such as InfoChimps, Microsoft Azure Data Market, or Data.gov), smart phones, the Mobile Web, or any other kind, PatternBuilders can help. All PatternBuilders solutions are deployment and development-light: no mammoth investments in data centers, armies of expert programmers or consultants, or training in proprietary tools required. PatternBuilders: a big data solution that fully addresses all your big analytics needs. A Library of Public Data Markets – Coming Soon!